G Dedrick Robinson Ph.D. is a Professor Emeritus of Geology at James Madison University in Virginia. 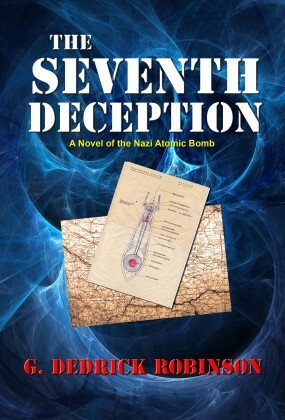 In addition to nearly fifty professional science publications and nearly twenty short stories, he is the author of three published novels: "The Seventh Deception-A Novel of the Nazi Atomic Bomb"; "The Last Lion of Sparta"; and "Blood Scourge-Is the end of human kind finally at hand?" He is also the author of the non-fiction book "Global Warming-Alarmists, Skeptics & Deniers: A Geoscientist Looks at the Science of Climate Change." His writings, including science articles, adventure articles, car articles and short fiction, have appeared in such varied formats as professional science journals, newspapers, literary journals and history journals.